IGT is a company known for their colorful, well-designed and popular worldwide, satisfying the gaming needs of majority of the gambling community. Sumatran Storm is just another addition to the great grand series they are having right now. For those who do not known, Sumatra is an island in Indonesia known for the beautiful beaches, animals and perfect weather. Storms are not something you will see that often, but in this context, the developers from the IGT company referred to all the high-rewarding symbols and bonuses that come your way, storming your wallet with money. The ways to win system is very common nowadays, but usually in a form of 256 or 1024 possibilities. This formation, and both paying ways allows the machine to provide 720 different connecting options to the symbols. IGT is experimenting and trying to popularize ways other than 1k, 2k and 4k to the community, and even though some earlier releases were mainly played in the UK, this one hit the nail on the head and went viral in no time. Online slots with weird and new formations break through the top rarely, but thanks to the diamond shaped table with the Multiway Xtra addition, this one did it with ease. Sumatran Storm slots are changing the way slot machines are being played with all the new implementations, besides 3D graphics and visual effects activated along with the features. The biggest surprise is that the game has the RTP of 96.60%! This was indeed unexpected, because all of the experiments and weirdly structured games such as this one drop the RTP under the 93% mark, repelling all the gamblers. Free spins in the game are activated whenever five or more green tiger eye icons appears on the screen at the same time. Considering that there are only 19 available fields, landing at least five sounds like a tough task, and it is, but the rewards are extremely generous. Up to 60 gratis rolls can be won before the free spinning starts. By landing additional scatters throughout the feature, gamblers can add more costless swirls. The maximum number of free spins in a single session caps at 150, which is one of the reasons why the RTP is so high. At the end, all slot machines are simply games made for entertaining purposes. Most people already know this, but going for machines that have public RTP’s (Theoretical Return To Player), and also for those which have a high RTP (everything over 96% is considered extremely high), which is where this one belongs. As safety and reliability are very important factors at online gambling, always check if the chosen casino is licensed and do some research on it to see what other people have to say about it on forums for example or other reviewing websites. The competition between online casinos is currently very high which is a reason why most of them provide high quality slots with a lot of additional information and good bonuses. 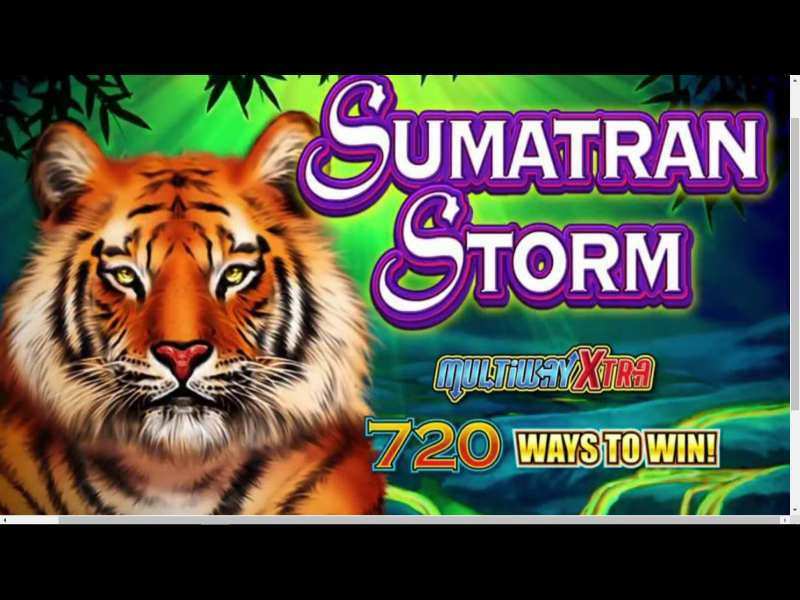 Knowing that Sumatran Storm is one of the most popular ones at the moment, and that it comes from IGT, you can find it in the majority of respectable and trustworthy casinos worldwide. By visiting any online casino that has the game included. Looking for one that is license is still a good idea in order to avoid malwares and spywares present on some websites. Download the application from the official sources and enjoy! There are apps not just for the smartphones but for the computers as well. No download is required to play in the browser, as the only software needed is the Adobe Flash Player in order to load the 3D graphics. If you like games that portray beautiful coasts and nature, with the jackpot included then check the WMS titled the Lancelot Slot. 0 responses to "Sumatran Storm Slot"